Wisconsin Health Literacy Summit is going on now! Tune in for "Literacy Live: Health Literacy Summit Edition" on Monday, April 1st at 10 am on Facebook. We will be interviewing Audrey Riffenburgh, President of Health Literacy Connections and Summit Speaker, about why health literacy matters. Wisconsin Health Literacy (WHL) is partnering with the National Network of Libraries of Medicine - Greater Midwest Region to host Health Online: Finding Information You Can Trust. We designed this educational workshop at the end of last year. We started implementing it in Wisconsin to help users navigate the web, find reliable health information online, and make the most of their online resources. The program includes a 90-minute community-based workshop that we will continue to host throughout the year. 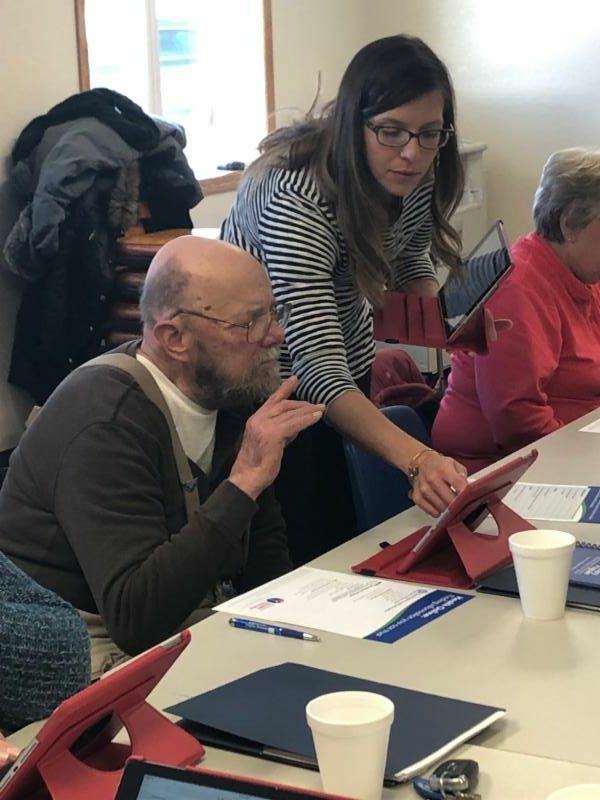 Community members use iPads provided by WHL to follow the presentation and get hands-on experience searching for health information. We have also developed a train-the-trainer series for librarians. This 2.5 hour training is guided by a WHL professional. The goal is to train librarians to help community members find reliable health information online. Contact Caitlyn Mowatt at caitlyn@wisconsinliteracy.org for more information. Back by demand, the popular Let's Talk About Pain Medicines workshops will be starting soon for the 2019 year. WHL, with support from Security Health Plan, is implementing 50 workshops throughout the state of Wisconsin. This program focuses on relavant and important information given our national crisis - how to safely and effectively use opioid medicine. If you're interested in learning more about this program, contact Caitlyn Mowatt at caitlyn@wisconsinliteracy.org or Kari LaScala at kari@wisconsinliteracy.org. Antonia, a student at Adult Learning Center in 2018, completed her GED tests, earned a promotion at her job in security, and enrolled at MATC all within 8 months. 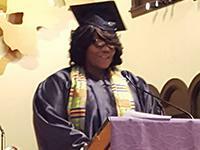 She started college-level courses even before crossing the stage for her GED completion ceremony in December. The Kids Ranch works with vulnerable children between the ages of 6-10. Their holistic approach includes a school year literacy program and summer day camp program including a naturalist, art therapist, and certified social worker. Wednesday, April 17, 8:00-12:00 pm. Location: First Congregational UCC, 310 Broadway St., Eau Claire. 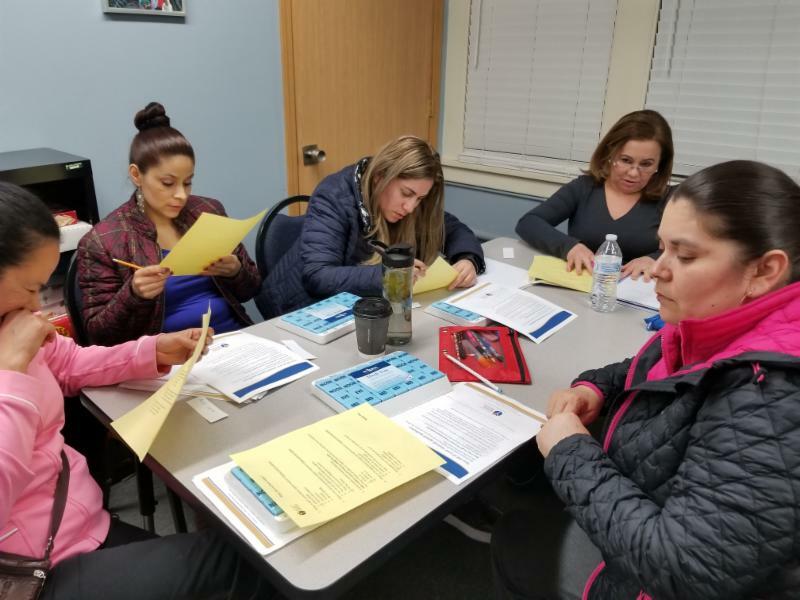 The English Forward training is for tutors and instructors working with ELL (English Language Learners). 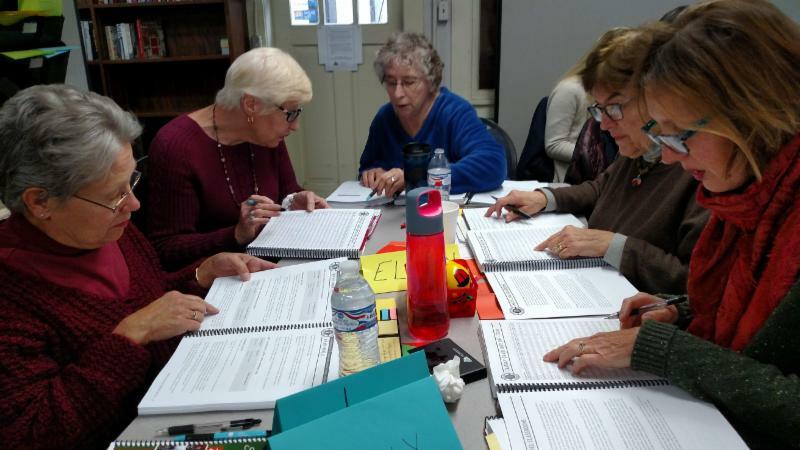 The training includes how to use the English Forward framework and extensive practice of teaching strategies. More information on English Forward is available on their website http://literacyforward.org/about-literacy-forward. The training is free for Wisconsin Literacy members and $35 for non-members. Please register for the training at https://goo.gl/forms/BQP20avHL71YONOL2. Click HERE to apply for a 2019 Youth Literacy grant. The Wisconsin Literacy - Southeast Regional Scholarship for post-secondary education offers awards through the Anne Marie Pawelke Scholarship Fund and the Nancy Fink Endowment Scholarship Fund to GED/HSED graduates who plan to attend a program of study at an accredited post-secondary institution. Scholarships of $1,000 (in two, $500 increments) may be awarded. Even if the administration’s budget proposal is not being taken seriously, it is a shot across the bow to adult education. We have been working for the past three months to educate Members of Congress about the importance of adult education funding in FY 2020 and this draconian proposal only reinforces the importance of our collective effort this year. Please find attached a copy of the department’s FY 2020 budget proposal for key education programs. 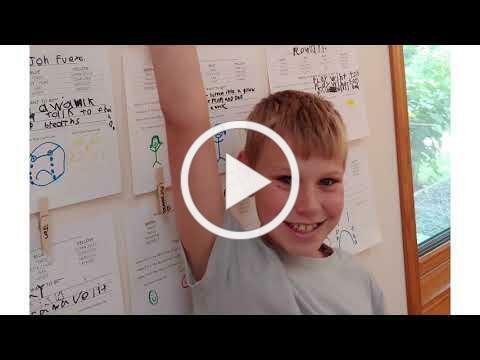 Please send any of YOUR news that you think would be of interest to other members for the May 2019 e-news to info@wisconsinliteracy.org.